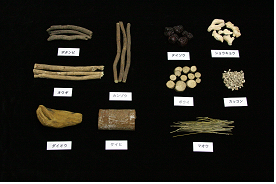 The division consists of three sections engaged in research and testing work on crude drugs (herbal medicines) and narcotics. 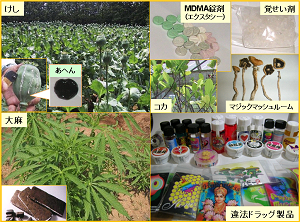 The major research subject is involved with the following areas: evaluation and standardization of herbal medicines to ensure their quality, efficacy and safety; development of chemically and genetically analyzing method of herbal medicines and unregulated drugs; evaluation of pharmacological activity of “Kampo” medicines; surveys of biologically active compounds in natural source; development of analytical method of narcotics, stimulants and other abused drugs; chemical evaluation of borderline products between pharmaceuticals and food. 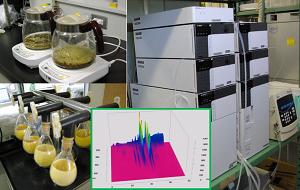 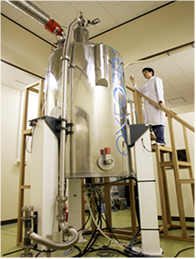 In addition, the division manages special scientific instruments such as 800MHz NMR, LC-NMR and tandem MS for common use in our ministry.